Your employees are back from summer vacation and it may be time for your organization to provide some additional time off, for voting. This is a reminder for New York employers that New York State primary election day is Thursday, September 13, 2018. 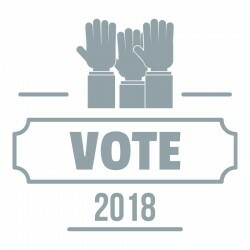 The general election will be held on Tuesday, November 6, 2018. Although there is no federal law requiring employers to provide leave (paid or unpaid) to employees to enable them to vote, there are at least 30 States with laws addressing voting rights leave for employees. Therefore, whether an employee has the right to take time off from work to vote depends upon a particular State’s law. When Voting Leave Not Required: In New York, if an employee has four (4) consecutive nonworking hours in which to vote, either between the opening of the polls and the beginning of his/her work shift or the end of his/her shift and the close of the polls, then an employer need not provide any leave time to vote. Up to 2 Hours’ Paid Leave: However, employers in New York must provide employees who are unable to vote in an election during nonworking hours up to two (2) hours of paid time off to vote during the regular workday. If an employee needs additional time to vote, it would be unpaid. Notice Requirements: Individuals needing time off to vote during the regular workday must inform their employer at least two (2) days in advance, but no more than ten (10) days in advance, and failure to provide such notice may result in denial of the employee’s request for time off to vote. Employers may designate whether employees need to schedule time off to vote at the beginning or end of the employee’s work shift. Mandatory Posting Requirement in New York: Additionally, at least 10 working days before an election, all employers in New York State must conspicuously post a notice explaining employees’ rights to take time off to vote in the workplace—so in this case, these notices needed to be posted in New York workplaces by August 29, 2018. That notice must remain in place until the polls close. Organizations with employees in States outside New York should confer with their employment counsel regarding the State voting leave laws applicable to their workforce to ensure legal compliance.